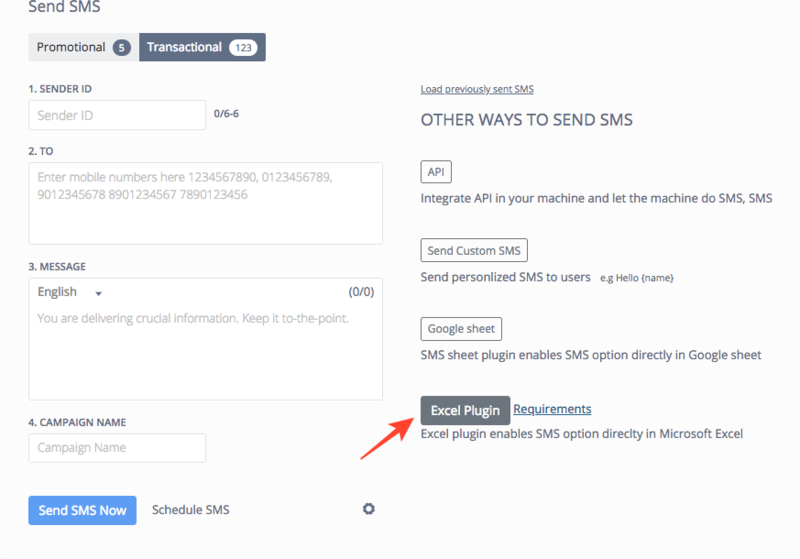 Excel Plugin empowers you to send SMS directly from the excel sheet. You do not need to upload your excel sheet on the panel. You are allowed to send SMS from the sheet itself without going online. 1. From the panel, you need to download the Excel Plugin. You can find the download option on the 'Send SMS' page. 3. 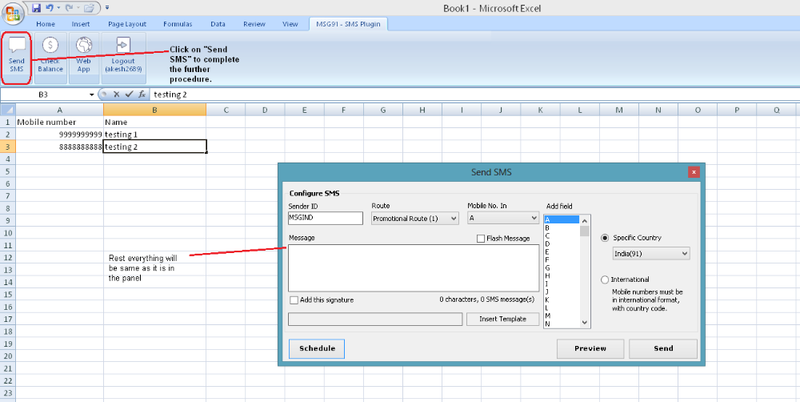 Install the downloaded file and you will be able to find an option of MSG91- SMS Plugin in your Excel. 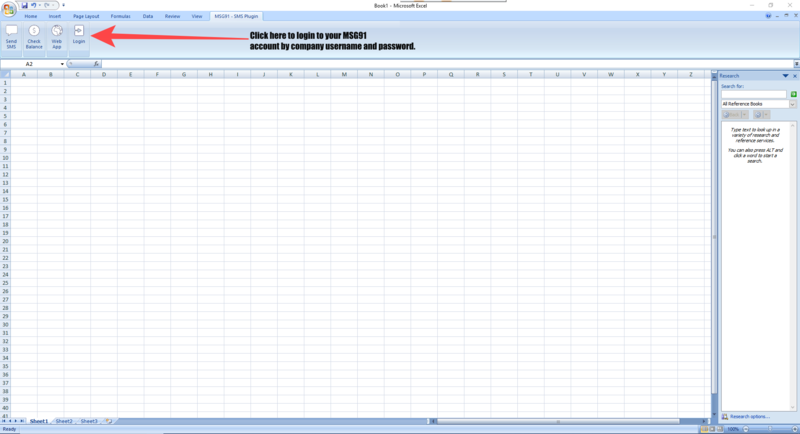 For login, use your company username and password. 4. Complete the entries to be filled in the sheet and click on Send SMS. Then the complete procedure is same as the panel.